* Please be aware that Food24 does not advocate the abuse of alcohol and it is expected that if you try the recipes and/or other material provided on Food24, you do so responsibly, with moderation and with caution. An old gem at The Waterfront, offering locals and tourists a proper Belgian experience. The beers are a significant aspect of the restaurant, offering a variety of imported Belgian beers like Vedett, Duvel and Liefman's, and that's not to mention the 6 varieties they serve on tap as well. It's the ideal weekend setting, as you watch the yachts cruise into the marina, sipping an ice cold beer and perhaps sharing a bowl of their famous a’la Crème mussels. Beerhouse encompasses the importance and appreciation of drinking beer and stands as a pillar for the craft beer trend that took the world by storm in recent years. They celebrate beer in every way, offering 99 bottles of beer variety and just under 30 types of beer on tap. If you're looking for local or international beer, you can be sure that Beerhouse will have what you fancy. On the day, Beerhouse will be offering 25% off selected beers and a trio of sliders special served with 3 beers. 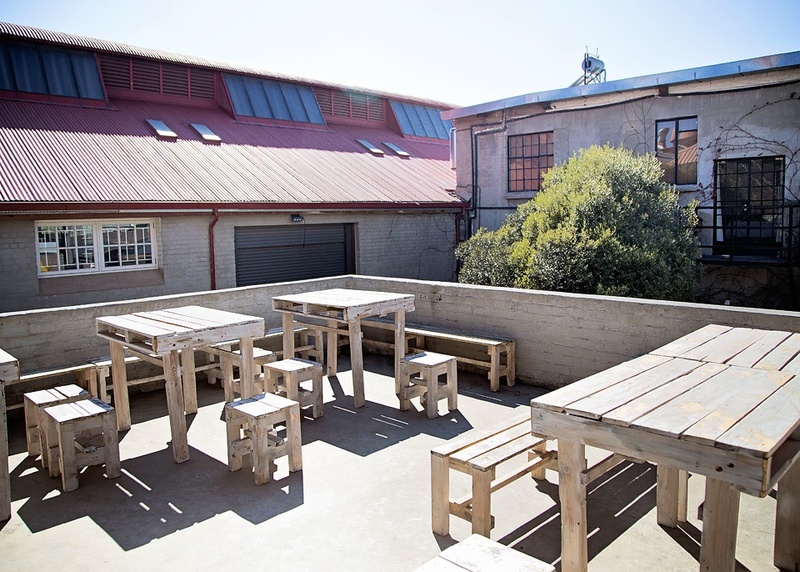 Brewing just on the outskirts of the city, Devil's Peak Brewing Company began at the start of the craft beer revolution in Cape Town, serving the public since 2012. It started as a simple passion for craft beer and developed with the growing interest that moved toward a more bespoke way of beer-making. Today they have a huge brewery and restaurant that keep with the industrial traditions of Salt River. Try their very popular First Light lager or the pale ale. It was only a matter of time before these guys opened a seriously cool spot to enjoy their beer. Embodying the spirit of African beer culture, Striped Horse got it right with their lager which they focused on for a few years and their award-winning pilsner, and last year added a pale ale to the brand. The bar is right on the beachfront, and serves great soul food like ribs, prego rolls and wagyu burgers. Check out their Facebook page for live music events. Head here between 10am and 2pm on Saturday for a beer tasting. Known as the loudest beer makers in the business, Riot has a great space for sipping beer and relaxing with friends. 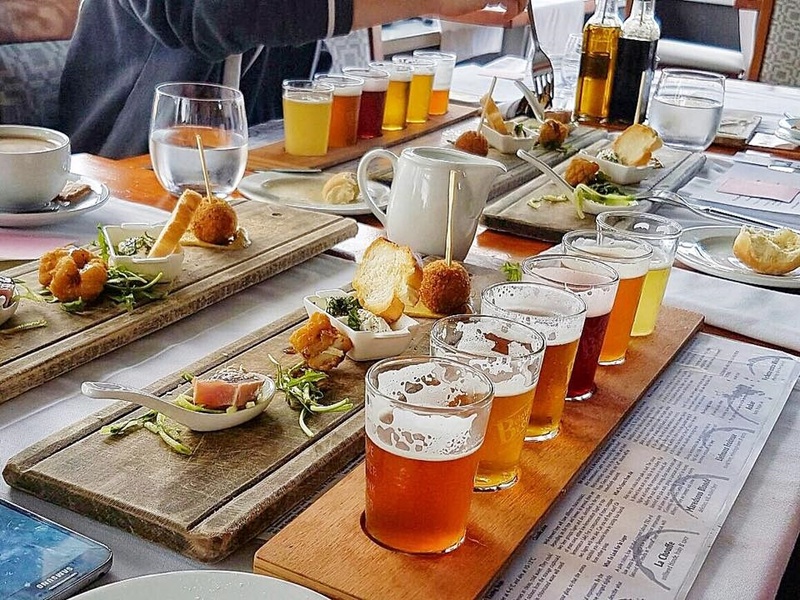 So have a taste of the range which includes a lager and ale hybrid, then head to one of the other Cape Town breweries for more beer and lunch. See more info here. The Woodstock Brewery will be honouring the day by serving two brand new beers: a Märzen and an Imperial Pilsner. Go enjoy a tasting, buy some beers and chill in the beer garden. Or book a lunch at the Woodstock Grill and tap for some seriously good steak and grills. For more info, see here. 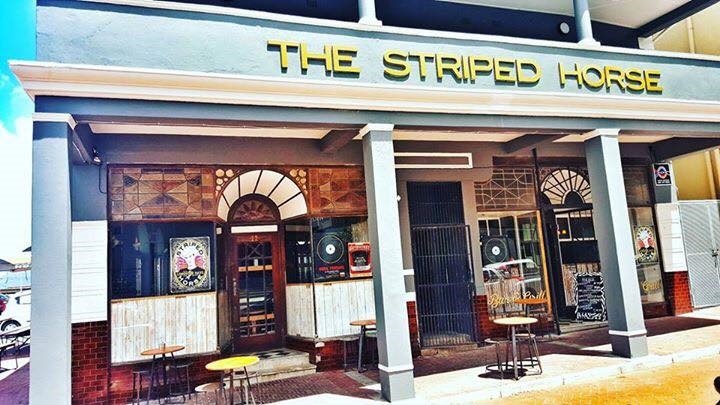 Situated in the iconic Hotel Glencairn, Stoep & Swing is a hangout for locals and a Simon's Town institution. The setting is ideal for a Saturday of beer drinking and lunching, and the pub promises to offer a brilliant vibe with a mini beer festival that includes six craft beers on tap, traditional German food and vinyl DJs. 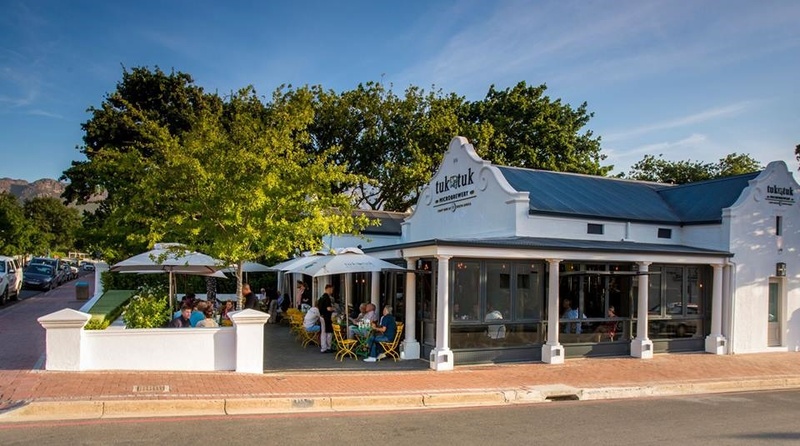 Forming part of the Leeu Collection on Franschhoek's main strip, Tuk Tuk proves that the winelands aren't only for the wine. They offer a Mexican food experience with CBC beers which include their German and American style beers as well. Choose between a 4 or 8 beer tasting while you 'tu(c)k' into ceviche, nachos, and tacos. The zesty and spiciness of the food pairs wonderfully with the hops and varied flavours of the beers. Another CBC spot but offering a completely different experience. Situated on the Spice Route wine farm, this is where the magic happens. CBC brewery is a large, well orchestrated factory, and visitors are invited to witness the behind the scenes action from the tasting bars. CBC has one of the largest varieties of craft beer in SA, so there's a lot of tasting opportunities. Afterwards visit the Spice Route's many food shops and restaurants including Bertus Basson at The Spice Route, La Grapperia or Biltong and Barley Emporium. For more info see here. 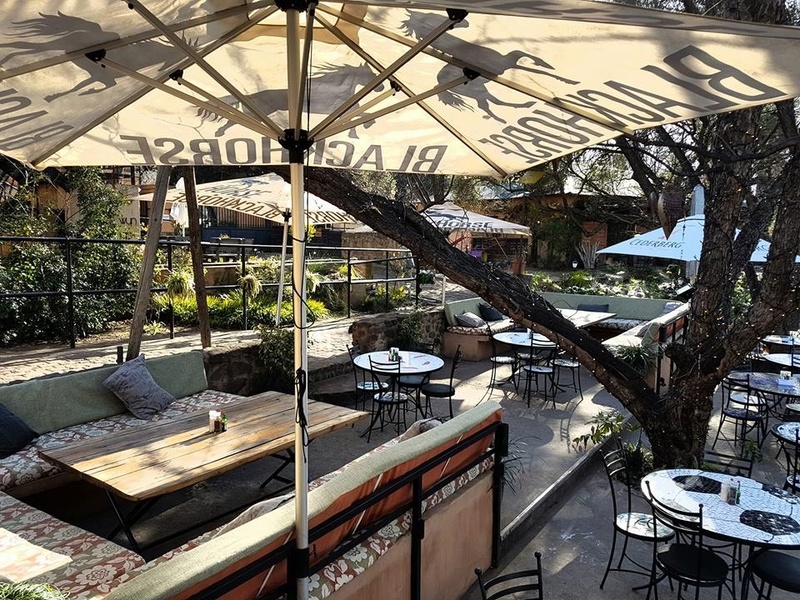 Situated on the edge of the picturesque Malgalies River, Black Horse provides a brewing and tasting experience as well as a beautiful restaurant beneath the trees. It's idea for a day trip out of Joburg, and will take about an hours drive, but the beer and exceptionally lush landscape make it a worthwhile journey. The restaurant is aimed at families and serves breakfast, lunch and dinner focusing on wood-fired pizzas, flatbreads and grass fed grills. For something different, try the strawberry infused ale and the ginger beer. Copperlake has made sure that their brewpub offers guests a fun-filled and gastronomically pleasing experience and a relaxed yet energetic vibe. They are known for their quiz nights, live music and hosting of beer pong. They also offer tastings of there 8 types of beer paired with food platters and a craft beer brewing talk. On the food front expect classic pub grub like burgers, ribs, chicken wings and steaks. 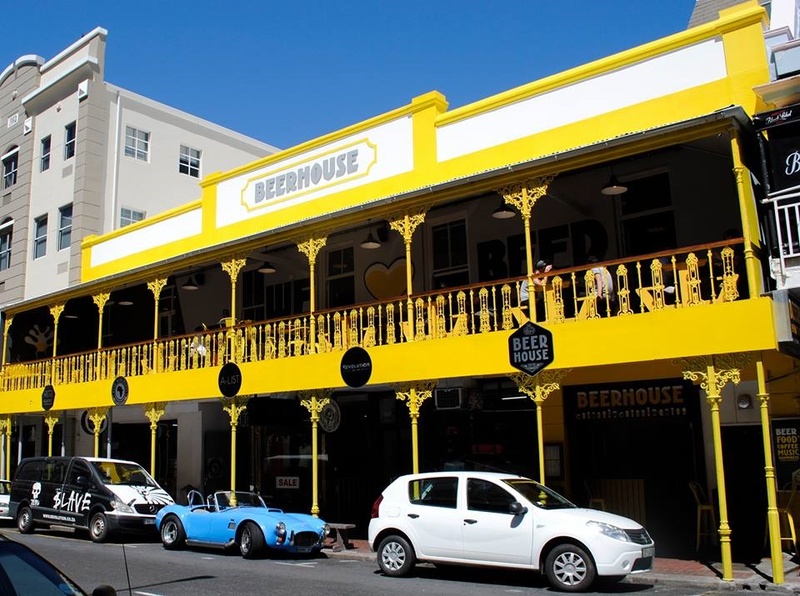 A more recent addition to the Beerhouse group, this one follows in the footsteps of Cape Town's now famous bright yellow bar celebrating all things beer. They stick with the 99 bottles of beer menu and offer 20 taps for your pleasure. The food is gourmet pub grub that enhances the beer flavours and vice versa. There's your classic burgers and ribs, but also beer glazed bacon, pork cracking, bitterballen and edamame beans. They'll be joining in on the National Beer Day celebrations with 25% off selected SA beers. SMACK! sits in the trendy Arts on Main, and embodies a philosophy based on rebellion and pushing the limits. They do things their way, and have successfully designed a space where people can come, taste and interact with the brewing process. There is also a lovely rooftop space to relax and look over Maboneng. The beers all have unique names with attitude, like The Bree Street Belle and The Braamfontein Brawler. For more info, see here. Bosheuvel are getting involved this National Beer Day offering a free craft beer when you order a T-bone steak or Eisbein. They'll also be supplying beer for beer pong if you wish to challenge a table! For more info, see here. Porcupine Quill is a micro brewery and deli combined, offering a variety of beers and wholesome food, inspired by African traditions. Beers are named after Africa's wild living environment, like Karoo Red and Flat tail porcupine ale. 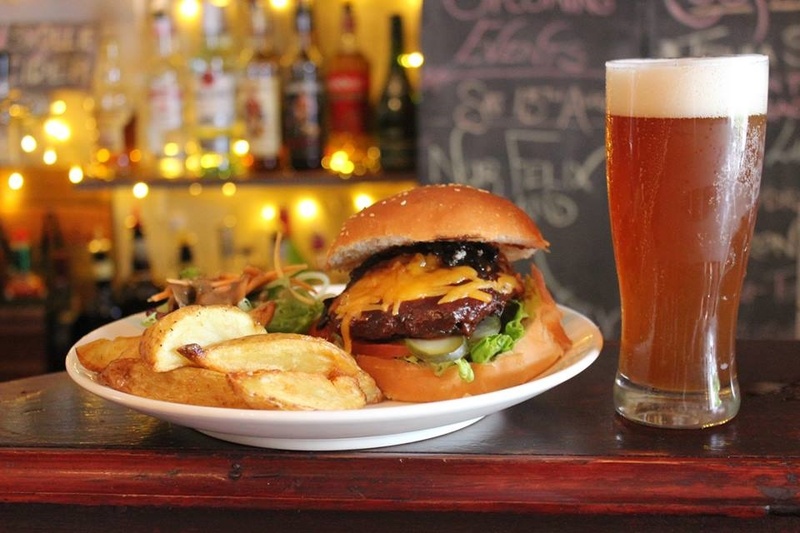 Enjoy a beer and a hearty, unpretentious meal at the deli where you will feel a warm welcome the moment you arrive. The food is all free of preservatives, hormones and anti-biotics, and they do a great range of preserves and confectioneries to take home - and of course beer as well! The third Beerhouse following on from the Joburg and CT branches. Expect the same great atmosphere, beer variety and food. They'll be joining in on the National Beer Day celebrations with 25% off selected SA beers. The Beer Yard pride themselves on serving honest, simple food and good beer. you'll find ultra thin-based pizzas, mammoth burgers and bar snacks to accompany their huge variety of international and local beers. The vibe is laid-back, and the outdoor space is unbeatable, with regular live music events and a pool that opens up on special occasions. They'll be hosting a little beer festival with a DJ, beer pong, beer bingo, beer tombola and a happy hour between 5pm and 6pm. Celebrating their first year at the new premises, Wild Clover will be offering games, live music, and loads of beer, with a happy hour between 12pm and 2pm. Zebonkey are doing something a little different, by swapping your bottle of beer for a tasting of there Zebonkey range. If you have a home brewed bottle of beer then they will swap it for 2 tastings. Come Celebrate SA National Beer Day! You're invited to celebrate in the common room, as Brewers Co-op serve up two limited edition ales. 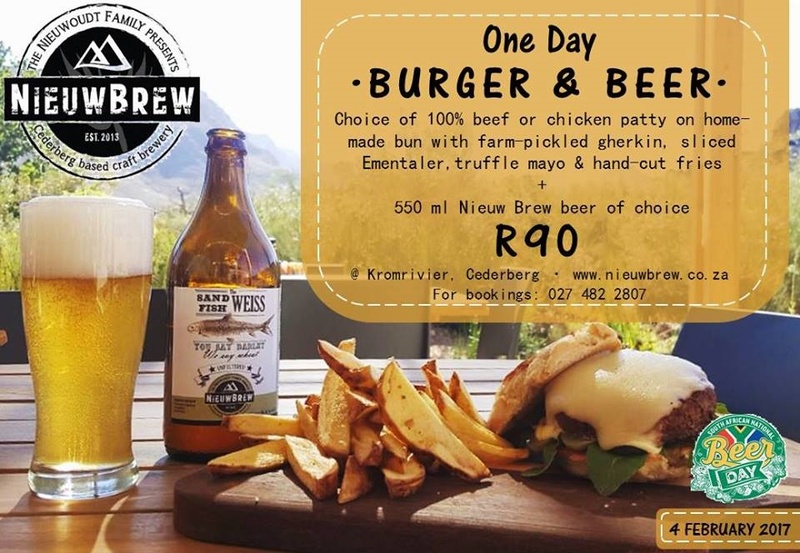 There is also a food and beer pairing experience available from 16:00 to 20:00. All beers will be at happy hour prices for the day. Get your beer at Sir Thomas and bring some meat for the fire! Confirm your booking on Facebook Events Page or email info@mainstreambeer.com. There'll be a special menu at the Taproom. Where: SAB World of Beer, 15 Helen Joseph Street (formerly President Street), Newtown.